Walking barefoot on gently heated tiles feels like pure luxury. It’s actually an economical way of heating the whole room. Warmup brings you a new dimension in affordable, luxurious, effective heating which is simple to operate and maintenance free. Undertile heating is the best type of flooring to use for heating as tile and stone have high thermal conductivity, meaning that the heat from an underfloor heating wire transfers to the floor surface quickly, warming the floor surface where you require it. Combining correct control with the correct installation gives you a cost-effective heating system, with no more cold spots or chilly drafts. Maximum effectiveness can be achieved when used with insulation boards, they not only act as an excellent waterproofing agent, but reduce footfall noise and echoes in your larger tiled areas. The undertile heating element with the full earth braid and double insulation is between 2.2 to 2.4mm thick. It is also 100% water resistant. The Warmup undertile elements have been tested and approved by all the appropriate safety testing bodies. Each individual heater is thoroughly tested before it leaves the factory prior to installation and again during commissioning. To comply with these safety standards all heaters must be used in conjunction with a Residual Current Device and is sometimes called an earth leakage breaker or earth leakage detector. RCD’s are more sensitive than fuses so if they detect any slight loss in current, they immediately shut off all power to the circuit. This helps minimise the risk of shock. As a rule of thumb, if your floor is acceptable for tiling, then it will be acceptable for heating. On particle board or wooden subfloors, we recommend using tile and slate underlay. Hard or sharp particles should be removed and the floors should be completely free of dust, dirt and grease. Depending upon the local council requirements and installation details, if waterproofing is required, is typically done after the heating has been installed. If in doubt, please contact your local representative. The floor must be laid with either a flexible adhesive or a flexible additive. Your tiler or tile supplier will be able to advise you on the best type of adhesive for your installation. Once the heating elements have been installed, the tiler should be the only person to walk on the floor. If you need to walk on the floor, you should do so only wearing socks or soft shoes. For Home-owners or trade professionals, Warmup now offers undertile heating in easy-to-install DIY kits with full, comprehensive installation instructions included. We further recommend that you view the sizing guide for some assistance in calculating what kit you need. 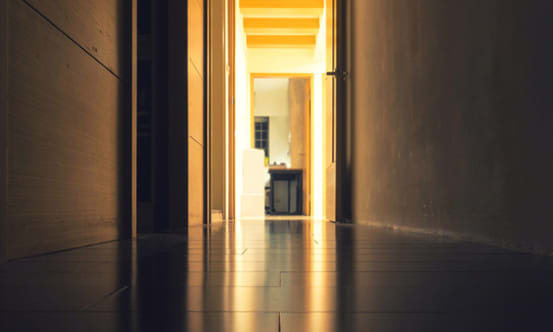 Heating time depends on the thickness of the tiles and whether the subfloor is concrete or wood, general levels of insulation and floor insulation. On an insulated wooden subfloor, it takes approximately 20 to 40 minutes for the floor to feel warm, then approximately 45 to 90 minutes to heat the room. On a non-insulated concrete floor, it will take even longer. It will also take longer for the floor to cool down once the heater has been turned off. On an insulated wooden subfloor, in a well-insulated room, the floor will be warm in 30 minutes. On a concrete floor in a poorly insulated room, it could take up to 5 hours to heat the floor. The longer it takes to heat the floor, the longer the floor will retain the heat. With all features completely hidden, there’s no threat to prying little fingers! Heating elements and controllers are approved and certified to New Zealand and international standards. They with a 10-year guarantee on both elements and installation. And we have a lifetime under tile heater warranty (conditions apply). Once the floor has warmed up, the thermostat switches the heater on and off automatically. In a reasonably insulated room, if the heater is the only source of heat you can expect the heater to be on for between 30% and 50% of the time. This time will obviously vary depending upon the climatic conditions and the comfort levels required. Every 1ºC reduction in the temperature setting of your thermostat will result in a 6% reduction in power usage over 24 hours. These heating elements use 200 – 3000 watts, depending on the size of the room. An average bathroom (500 watts) will cost approximately $0.50 to $0.75 per day using an electronic floor thermostat at normal operating temperature. ***Please be aware that actual costs will vary between electricity supply companies. Heat up and heat loss factors are all based on 6 hours per day as setup in the thermostat.